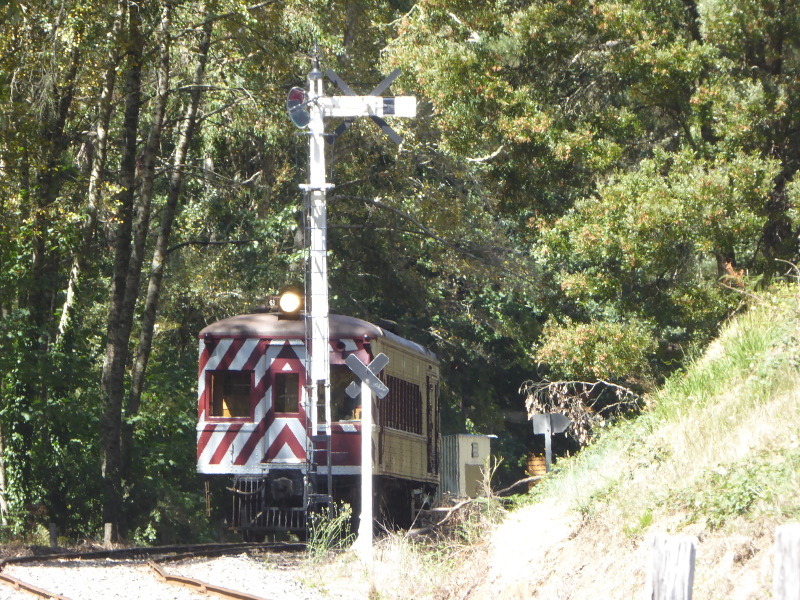 I really like this little vintage railway from Daylesford. 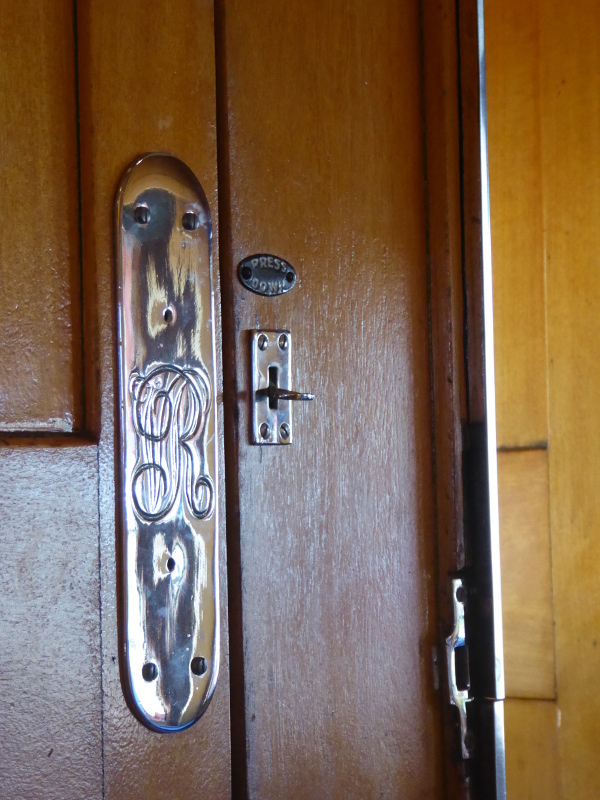 The single carriage diesel train was built in 1930 so has fantastic wooden fittings, with even the toilet brass looking impressive with its ornate lettering, cute seats, some with very worn springs in them, complicated window openings, and just a lovely overall feel. 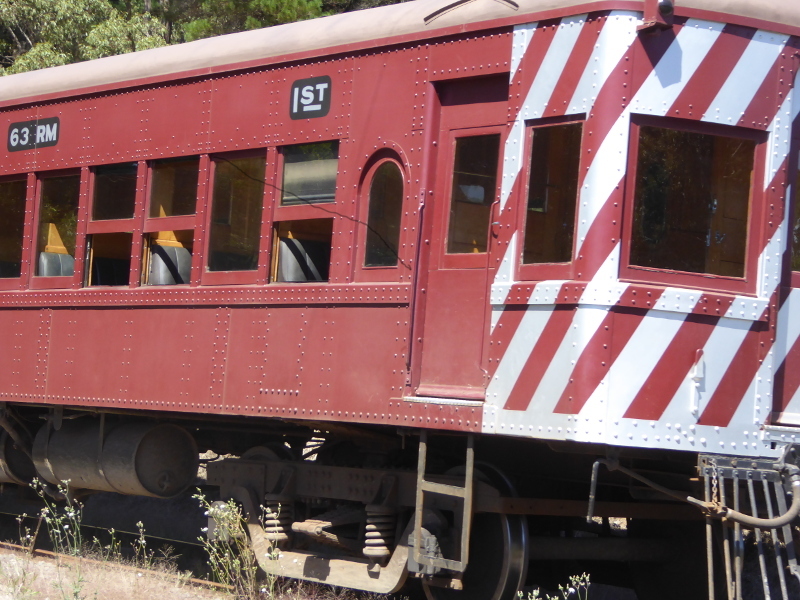 Try getting the seat next to the driver compartment for best views along the track ahead and to the right side. 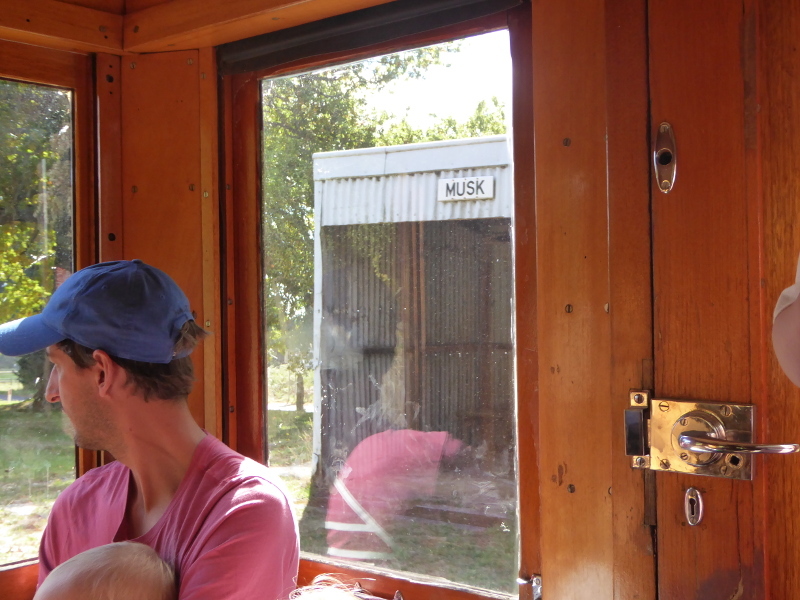 We had a fair choice of seats going up, so opted for shade on the right side of the train, though we missed the little platform and station at Musk which is only visible from the left, and that is worth a look. 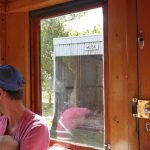 But by choosing to spend the 75 minutes up at Bullarto and catching the next train back to Daylesford, we missed out on a seat completely going back as the train was more than full by then…and nobody got off like us to hang around at the end of the line. 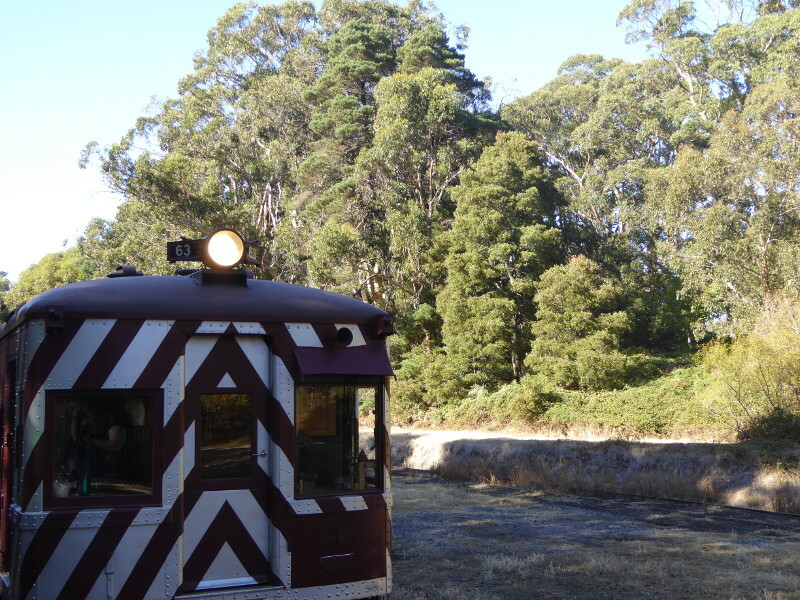 The train runs through lovely farm land and then through the beautiful eucalyptus forests around here. 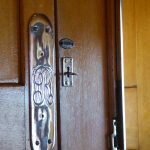 Open the windows and just breathe in the scents – I’m sure you’ll be healthier for the ride. 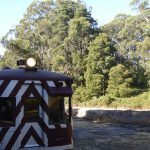 And in winter, apparently, it snows up here so they need a sandman to sprinkle over the tracks to help the train make it up the slope to Bullarto. 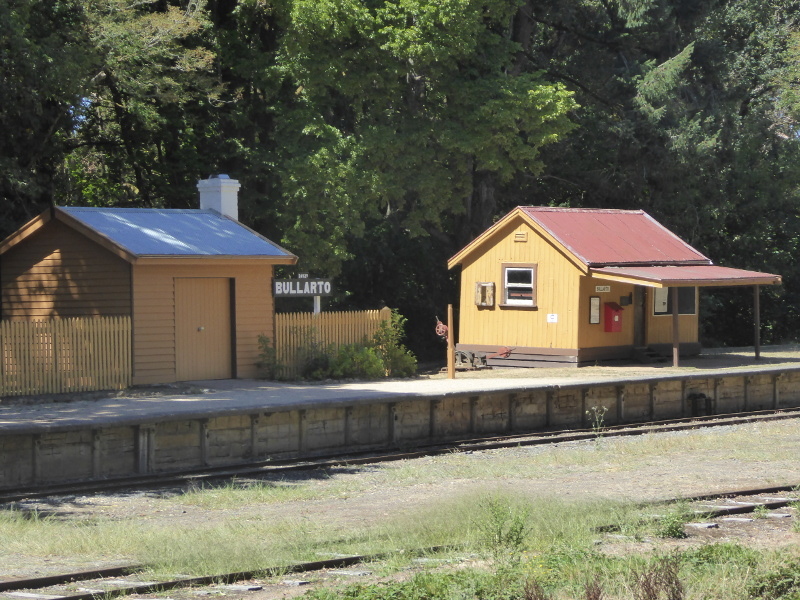 You see, Bullarto is the station at the highest altitude in Victoria, so it gets quite chilly up here in winter months. 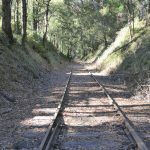 We decided to walk along the tracks to see how far we could get. And what a treat. 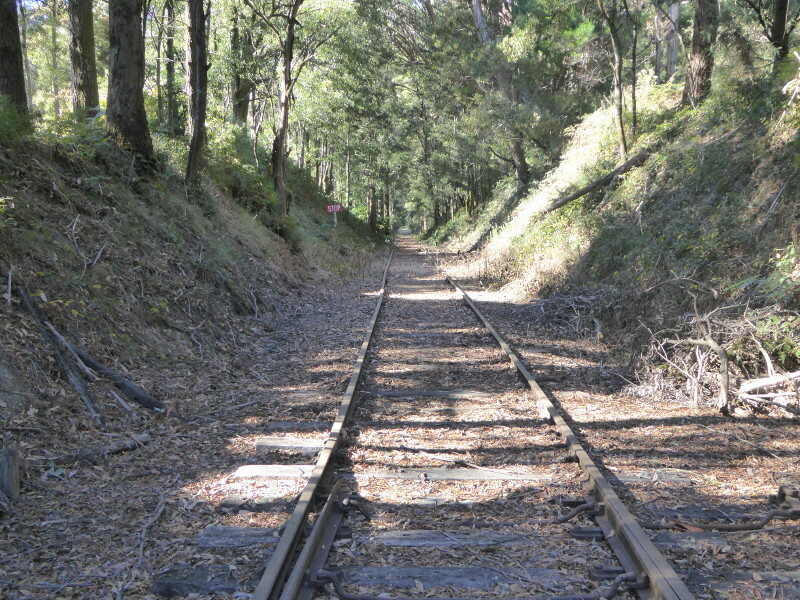 The old railway tracks are still in place for another half mile or so and they run through a narrow avenue of tall gum trees. After the first half mile, it is still clear where the tracks used to be so you can continue a little further still, under the canopy of those trees and watch out for the flash of colour as resident parrots swoop and squawk past. 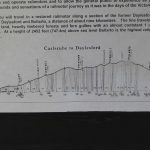 But after less than a mile, sadly, the trail reaches a dead end in the form of a gateway into someone’s yard or a high wire fence across where the track might once have gone. So we turned back. This is basically a Sunday and public holidays service. It cost us $15 each for a return ticket, so not bad value we thought. 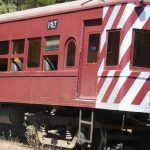 Daylesford: you’ll be parking with the crowds going to Daylesford markets, but there is usually space somewhere if you don’t mind a short walk back to the train station. 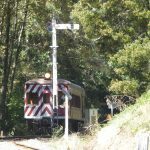 Bullarto: there are toilets just 100m from the station and train staff will leave you time to go if you need to in the 10 minute turnaround at Bullarto (your biggest test might be working out how the water flows in the sink. I was impressed at the facilities to be honest, but I’ll leave you that little quiz question for washing your hands…). 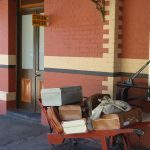 There used to be two village stores in Bullarto but now there are none. Musk: this is a request stop with the original old platform still in place. 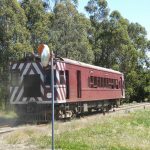 If you want to spot it from the train make sure you sit on the left side going up to Bullarto and right side heading back down to Daylesford. 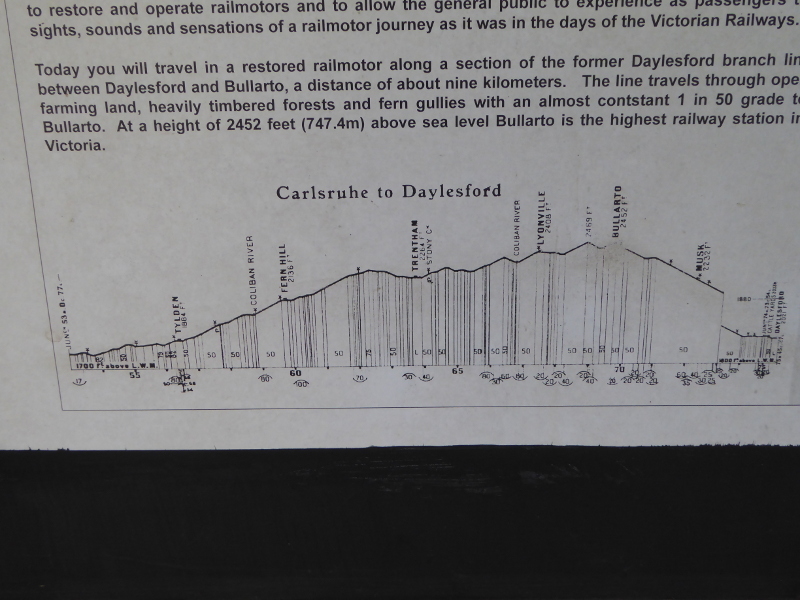 The line from Carlsruhe to Daylesford opened in 1880, with a surprisingly busy service on offer at three trains a day each way. 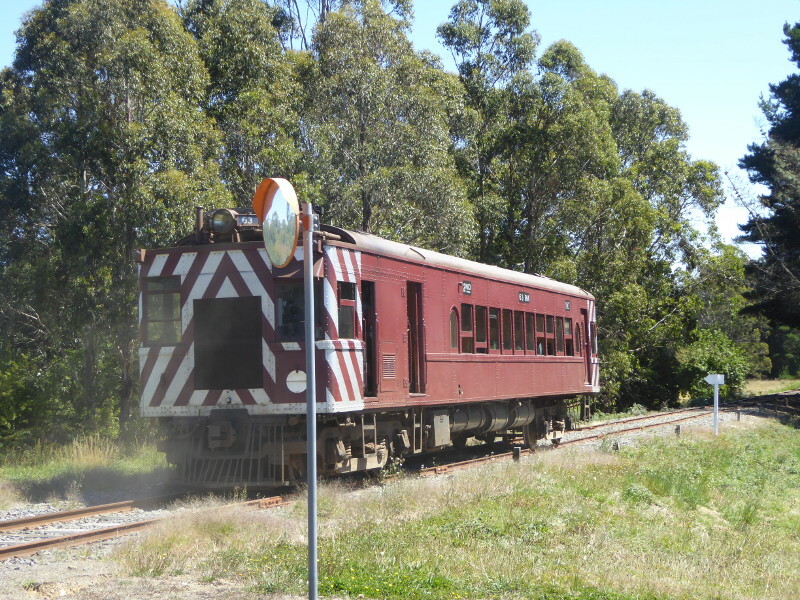 A search through the Trove website revealed a fair bit of drama at Bullarto over the years, with runaway rolling stock that crashed down the hill towards Daylesford in 1895, the theft of the Bullarto station safe in 1905 (between £3 and £4 taken…). 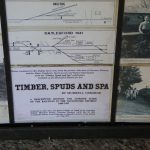 Potatoes were the big commodity in those days with one day in 1905 seeing 11,000 sacks of spuds leaving Bullarto station by train. 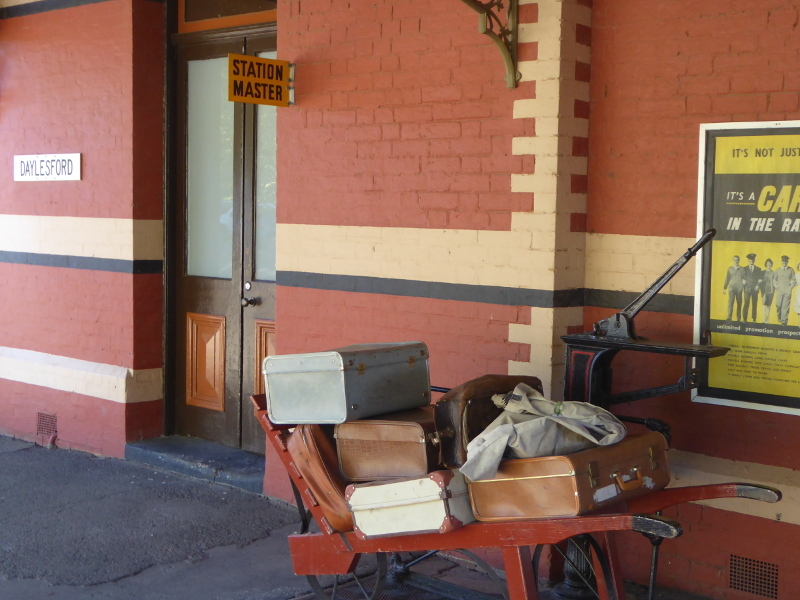 Trentham station is a beautiful spot a few miles along from Bullarto and there has been talk of one day achieving financing to extend the tourist track as far as there, though my encounter with one local suggested that was not about to happen since some of the land on the old track’s path has now been sold to private ownership, and indeed the walk we took through the woods along the track did end up about a kilometre or so later against a wire fence and a gateway that suggested we’d be entering someone’s back yard if we went any further. 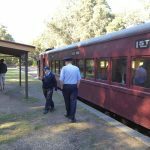 What are your memories of the Daylesford-Bullarto line? 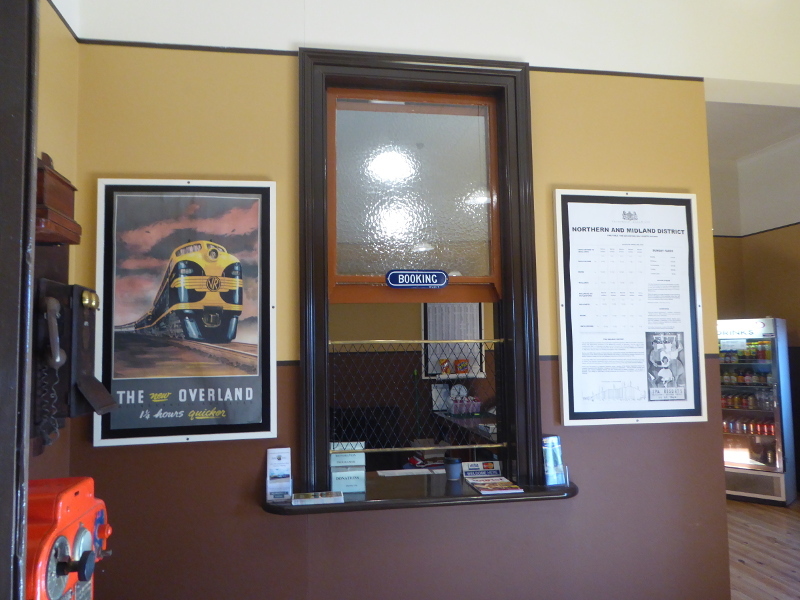 Did you ever travel on the line when regular passenger services were still operating? 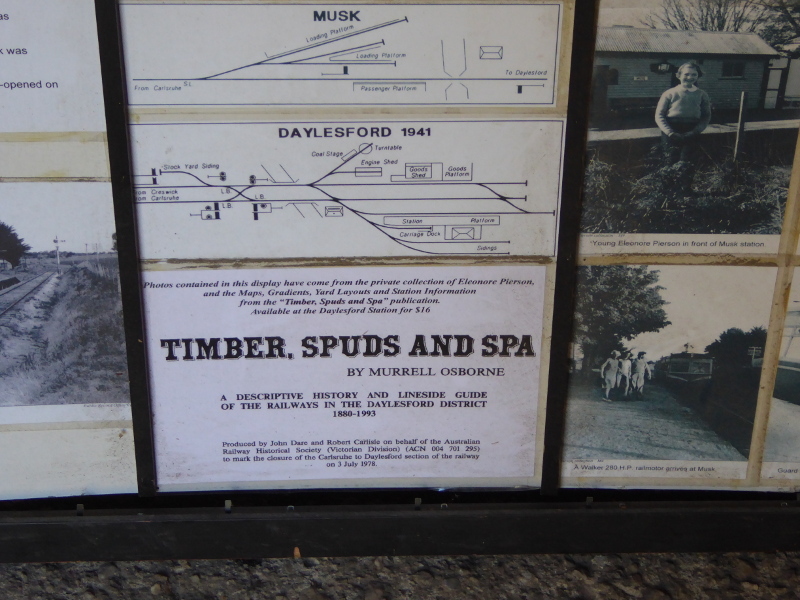 Or any of your relatives who speak of the days when potatoes were loaded onto trains round here? 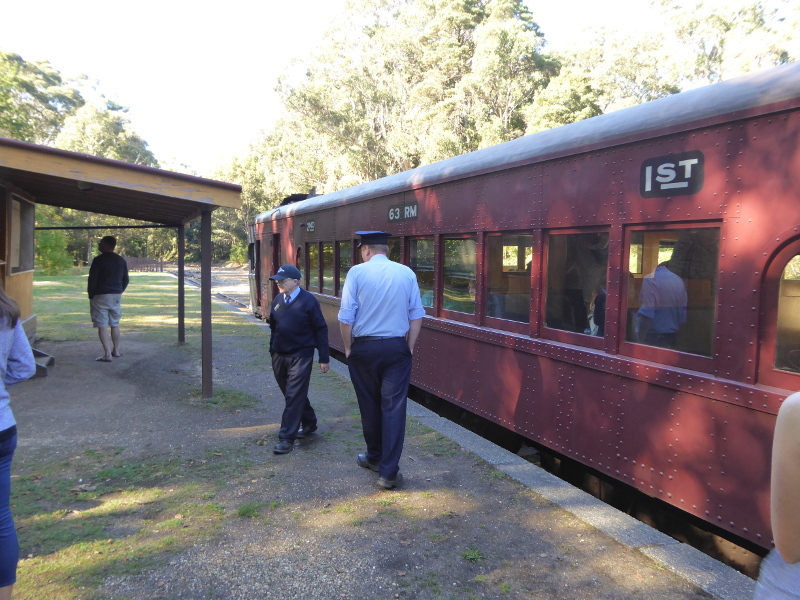 Have you been on the Country Railway and got a good story to tell? Have you seen Bullarto in the snow? Best coffee near Daylesford market? I would cross the main road into town and go to the café right opposite where you emerge from the train station. 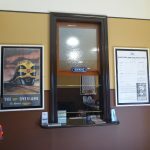 They do a really nice coffee here, with beans roasted in Ballarat, so pretty local: it’s called Charisma Coffee, and is a step above whatever you can find in the market itself.